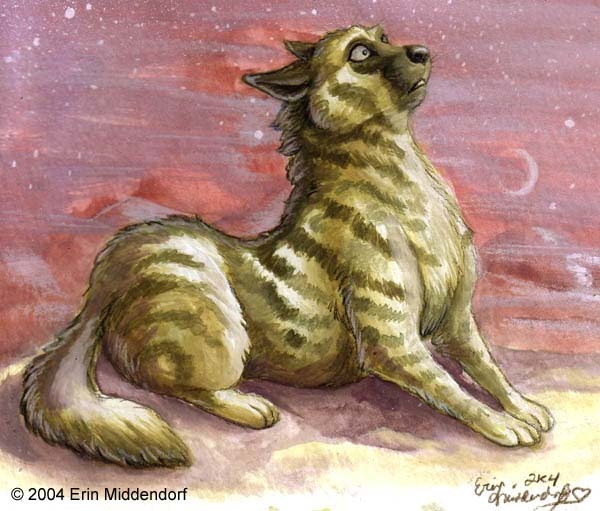 I traded a Tria art tool to Erin for this lovely watercolor of a startled striped hyena! Erin's work brims with character and personality- you should check out more of her lively artwork here! Please note that this drawing is © 2004 Erin Middendorf. Do not use it without her permission.